Keep on shining, my friends. P.S. Doesn’t this song make you want to watch Love Actually? No? Just me? Well guess I got my Monday Night Movie Night choice picked out! Categories: Music | Tags: inspiration, music | Permalink. Categories: fun, Music | Permalink. – went to a concert, had dinner with Jason, went to a birthday party, watched football ALL day, watched two movies, slept late and ate sushi. I know you’re thinking…”But Stephanie, those lists are completely opposite from each other.” And yes, I agree, but it was a wonderful weekend (even though I’m playing catch up now). 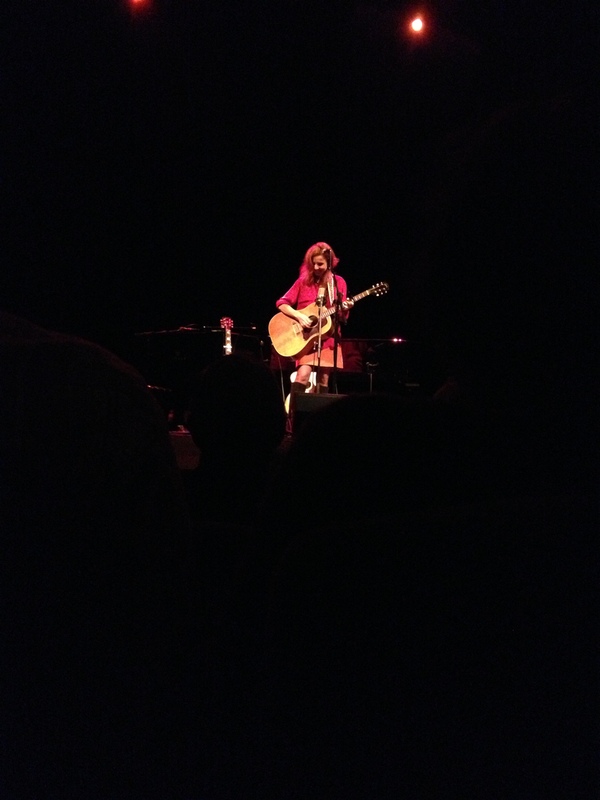 The main highlight was Friday night concert: Patty Griffin. Some of you may have never heard of Patty Griffin, but I discovered her in college during the “months of which we do not speak” aka mine and Jason’s breakup. And have loved her ever since. It was a GREAT concert at Manship Theatre. I would also recommend downloading “Let Him Fly,” which she didn’t song (sadface), but is my favorite of hers. Categories: Music | Tags: date night, music, patty griffin, weekend | Permalink. Categories: Music | Tags: hymns, music | Permalink. I’ve been on a Jimmy Fallon kick since I saw his NBC special about his musical performances. So funny. Here are some of my favorites! Ignore the terrible video quality. And the fact that I like the Glee version better than the original Madonna, guilty pleasure 🙂 But this song has become my go-to workout stretching or cool down song. Very poetic.